Want to be a Fund Duel Coordinator? Help People in Need - Anywhere! You should be a Fund Duel Coordinator! What is a Fund Duel Coordinator? 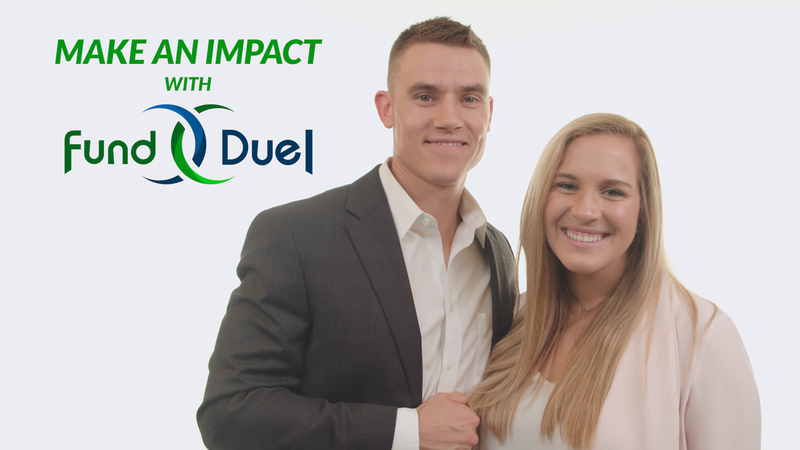 A Fund Duel Coordinator is someone who wants to change the world by helping non-profits or other organizations or individuals raise money with Fund Duel's innovative, competition-based, gamified fundraising platform. What will I do as a Fund Duel Coordinator? Your will find organizations and individuals who need to raise money. You will set up the teams in the Duel, and make sure everyone has all the pictures, videos, and text they need to fill out their duel page. You will promote the Fund Duel throughout the time that it is active. You will approach sponsors and ask them to donate prizes to the winners of the Fund Duel and the Video/Photo Challenges inside the Duel. At the end of the Duel, you see to it that the donations are given to the correct causes, and that the prizes are handed out. As a Fund Duel Coordinator receives 10% of the money raised in the overall campaign that you found and oversaw. It's up to you to decide how much time and effort you want to put into each of your campaigns, but the better they do, the better you do. Does becoming a Fund Duel coordinator sound like your jam? Uploaded video with id .